Residents of the Ulpana neighborhood and their supporters sat down after the Regulation Bill failed, spoke about next stage of struggle. Dozens of activists and regional leaders sat down with residents of the Ulpana neighborhood after the Regulation Bill was voted down to discuss the next stage of the struggle. Yesha (Judea and Samaria) Council head Danny Dayan spoke to Arutz Sheva about the meeting. Residents, regional officials, and rabbis sat and talked from Wednesday night until early Thursday morning. The meeting took place in the home of Didi Dickstein and his wife. Dickstein lost his parents and a sibling in a terrorist attack in 2002; he and his wife and two children now live in Beit El, where he chairs the official Ulpana neighborhood Neighborhood Committee. Dayan said he was heartened by meeting the Dicksteins and other residents of the neighborhood. “I found myself sitting with people who will not be broken, who will not despair, and I was very encouraged by that,” he said. 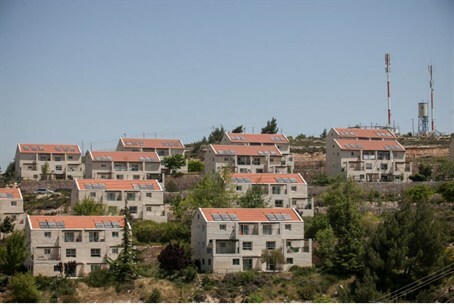 The fight to keep homes in Ulpana standing will take place on two levels, Dayan said. Activists will focus on the political struggle, but will also work on explaining their cause to the public. “We also need to prepare, in case neither of those struggles work, to prepare for the struggle on the ground,” he added.